Experience the Thrill of Riding! 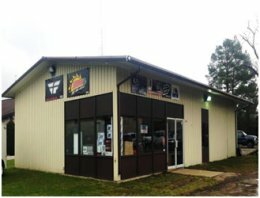 At Myers Motorsports, located at 3176 Route 219, Lantz Corners, Pennsylvania, rent or purchase ATVs, UTVs, or snowmobiles, and find all your necessary riding gear. Check out their new CF Moto Lineup! 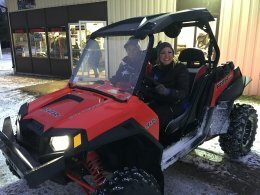 ATV/UTV/Snowmobile Rentals Experience the thrill of riding! At Myers Motorsports you can rent ATVs, UTVs or snowmobiles. Pickup and delivery are available. Call to verify prices as they are subject to change. Myers Motorsports is an official Pennsylvania inspection station. They provide on OR off-road registration and permits. Selling parts, accessories, oil, apparel, helmets, goggles, trail sleds, and performance sleds. For your convenience you can also make your selection from their online store.